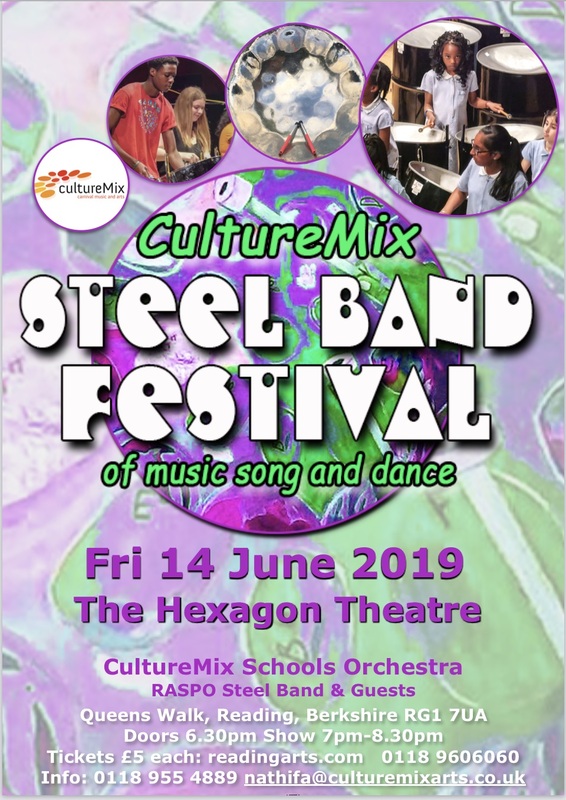 The CultureMix Steel Band Festival is a celebration of music, dance and song featuring hundreds of children from Berkshire schools. 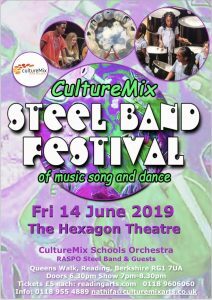 The annual event highlights the achievements of hundreds of school children who learn to play steel pans with CultureMix tutors. With a Carnival theme the showcase culminates in a spectacular finale ensemble performance of music, dance and song. This event is not to be missed. Tickets sell out quickly so book yours here. As part of our schools education programme we offer opportunities for gifted and talented school children to experience performing live to encourage learning and to build confidence. 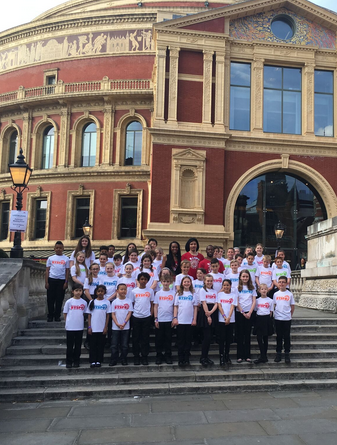 Theatre venues including the Hexagon Theatre, The Anvil, and The Royal Albert Hall have all featured music, song and dance from young talent.